BOOKS OF SAMUEL SERIES: Close But Far Away… | Precious Thoughts! I am delighted to inform you that we are still on the series. This is post two of the series. I am not certain as to how many posts that will be made of this series, but as soon as I am sure, I will relay that information to you. So you have not read the first post on the Books of Samuel Series? You can catch up here…. 2 Samuel 18 & 23 will be discussed today. I hope and strongly believe that you won’t just be accepting my points as it, but will be reading your Bible; as you remember that my blog posts are not The Word. They are supplements. These two chapters are intertwined, because chapter 18 gives an in-depth understanding of chapter 23’s outcome. So permit me to do a reverse swing, and start-up with chapter 23. David was a man who gave God thanks, at all times. He knew his frame and walked in the understanding that God chose him. Chapter 23 previews with the concluding part of David’s prayer after God had saved him from his enemies and Saul. His final words showed his concern to be a king who pleases God. He acknowledged the fact that a leader in tune with God will always be a blessing to God’s people. David revered God- this is undisputable! Verses 8 to 39 entailed the listing of David’s mighty men: from Josheb-Basshebeth to Uriah, the Hittite. But before we delve into the list, we see in verse 15, while David was in the cave, he requested for water, and where the three men could get water was from the Philistines’ line. That was a dangerous zone to tread on, considering that the Israelites had just warred against the Philistines [2 Samuel 21 v 15-22]; but Josheb, Eleazar and Shammah crossed the lines to get water for their king. Pause and think: What lengths will you go to show your reverence for God? What are you offering to God? How are you offering your life to God? David had a moment to glory in how he was a king and could see how his men were ready to risk their lives for him; but he chose to give the glory to the One who he knew deserved it. He never forgot where God brought him from and lived in humility, even as the king of Israel. David’s men treated him with so much regard because they were able to see how he feared and honored God, not just with his service as king but with his life. Now, the listing of his mighty men…. Do you ever read about the wars of David and never find Joab’s name? Never! I mean Joab was the captain of David’s army. So why was his name missing in the list of David’s mighty men? Absalom, David’s son was causing mayhem in his kingdom, he had become a thorn in his father’s flesh. [More deliberation in future posts to come]. David had assembled his forces and asked them to bring back Absalom. His order in verse 5 was…. Then the King ordered Joab and Abishai and Ittai, “Deal gently for my sake with the young man Absalom.” The whole army heard what the king commanded the three captains regarding Absalom. Joab disregards the words of the soldier, struck Absalom with three javelins while his armor bearers finalized the killing. Need I say that, there is something foul about familiarity. It creeps up on man and causes him to stumble. Familiarity and pride are siblings. It is interesting to see that a ‘commoner’ in the soldier group, was the one who held the words of the king with regard. David specifically ordered Joab, Abishai and Ittai, to deal with his son gently. We can even imply that the other soldiers were secondary hearers. The highlight of the order to the three men is no oversight. So if there was anyone that could have decided to flout the orders of David, the ‘commoners’ were in the ‘right’ position to do so. Joab was the least person that should have disobeyed the king’s order. Joab served David, but did not truly know his king. He was more about the ‘title life’ than listening to his master. 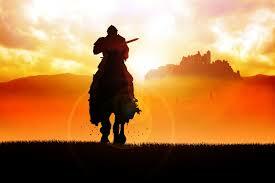 He served at David’s right hand, close to him, but Joab was not mentioned in the list of David’s mighty men. Tragic! Pause and think: Are you close to God but away from Him, getting familiar with God, that His orders carry no weight? There is a difference between doing things in the name of God and allowing God to work in you to do His will. There are times we [Believers] get caught up in doing things in the name of God, but is that God’s will? Doing God’s will has nothing to do with how long you have known Christ. I am sure Joab had known David longer than the rest of the soldiers but still he could not obey the orders of the king. Sheer familiarity! A thorough examination of the life we are living is a necessity in our walk with God. We need to be sure that we are not just stringing God along in our affairs. That it is a good idea/project does not mean it is a God idea. Personally, I do not want to tag God’s name along in my affairs on earth and stand before him and get a Matthew 7 v 21-23 answer. God forbid! But this is a wakeup call for me. It’s a wakeup call for you. 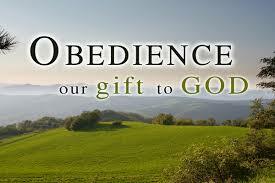 Are we seriously being obedient to the orders of God? We cannot know the orders of God if we study them once a week or just when we feel the storms rising. These orders are found in the bible. We don’t get to choose which orders we adhere to. We are to obey all of God’s commands. Doing things in the name of God without obeying His words, leaves a person out of God’s mighty men’s list- out of Heaven. I am looking forward to meeting with God, but I am not anticipating this meeting carelessly; but with fear and trembling. This post wrecked me and that is great. We need more convictions than appeasing words. Be convicted for change, inside out! I pray that as we reflect on these words, the Holy Spirit will open our eyes of understanding to filter out things we do in God’s name that is not His will. I ask for His grace to help us change our ways wherever we may have gone astray. Amen! P.S There are more lessons in the two chapters, and I’ve deliberately not included them in the post, so that you won’t say ‘I have said it all’. The comments section awaits your input, and so do I. Missed post 1 on the Samuel Series? Thank you Adaolisa. God be praised for inspiration. Pingback: HELP! I Can’t Let Go…… | Precious Thoughts! I studied along with these verses last night…its scary to think that one may have the boot after all the work on earth in God’s name(like seriously?) more and more we(i) should pray, Lord show us anything that we aren’t doing right! You are first, not the projects we do in your name. I couldn’t help but shout out that David is my crush, everyday through and through! How come he was grieving for Absalom? What kind of love did this man have in his heart? Loving his enemies-a son who wanted to kill him. Yaaay! That was the lesson I deliberately left out- David’s show of love for Absalom despite his wrongs. David is a gem… Lol! France’s second son, you’re going to bear the name of the man after God’s heart. How super cool is that? Thanks for reading and sharing the lesson. Blessings!